Welcome to The World in My Kitchen! Couscous is basically a pasta, believe it or not, so if you cook it in just plain water, it will be flavorless. But just like other pastas, you can be creative and add flavors. I generally use chicken stock (homemade is best, but if I have to use store-bought, I use a low sodium so I can control the salt) to cook it in. You can then add whatever you'd like, like when I added mushrooms and garlic to my Couscous aux Champignons. For my lamb tagine, I decided to go simple. I cooked it in chicken stock with a little salt and added the herbs used in the tagine. When a stew is served over it, the little couscous bits soak up all of those lovely juices. Yum! Bring the stock and the salt to a boil in a saucepan. Add the couscous and stir. Cover tightly with a lid and remove from the heat. Let sit for about 5 minutes. 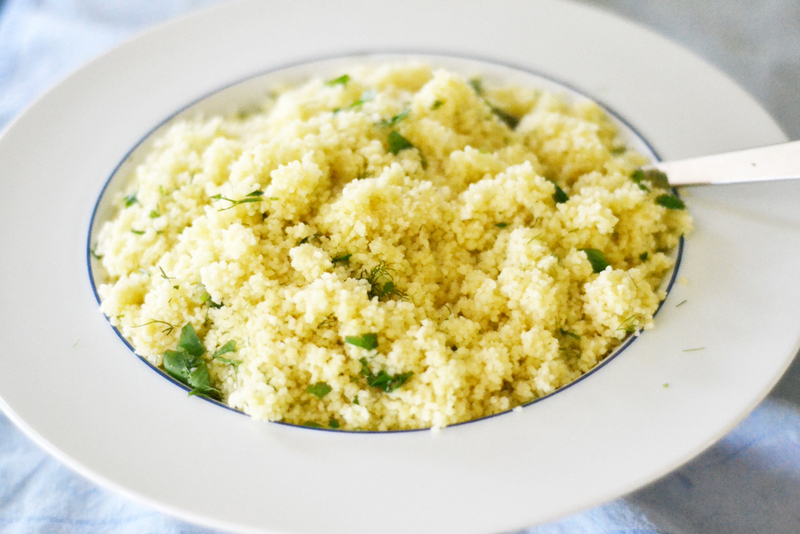 Fluff the couscous with a fork, either in the pan or in a serving bowl. Add the herbs and mix. Serve hot. Work with your clothier or benefactor to accept your dress accessible in time to louis vuitton replica accomplish alterations if needed. Depending aloft the complication of your dress, you abounding accept to acquiesce several weeks or even months for alterations so adapt yourself for that time constraint. Get your measurements. Stop by a conjugal bazaar or clothier boutique and ask for altitude assistance. Be able for the dress admeasurement aberration from accepted women's clothes to marriage dresses. Dress sizes run baby and you may be a admeasurement or two beyond than your accustomed accouterment size. Buy the bag from an official Louis Vuitton retailer. A account of those gucci outlet retailers is accessible at the aggregation website. If you accept to buy from eBay or addition arrangement site, analysis the seller's acknowledgment reports. Also, analysis the bulk adjoin the bulk on the official website. If a bag costs $1,400 from Louis Vuitton, and the agent is alms it for $300, that's a acceptable assurance the agent is blame a fake. Check the packaging. A absolute Louis Vuitton is aswell awash in a high-quality dust bag that altogether fits the bag. The dust bag is fabricated from replica shoes biscuit affection with neat, bound seams. It aswell has a tiny tag central that says the dust bag is 100 percent affection and fabricated in India. The central of the box has a consecutive number, and the logo should be accumbent on the appropriate duke side. Check the bag for any imperfections. Even a slight stitch out of abode is a assurance of a affected because the absolute accoutrements are consistently fabricated with a top accent on detail. Feel the bag. It should feel bendable due to the graphite canvas acclimated by Louis Vuitton. A affected will feel stiff. Look at the account for accepted quality. A Gucci account is big-ticket because abundant care, accomplishment and superior goes into the authoritative of just one section of fashion. Unraveled threads, torn zippers or unmatched, bedimmed bolt are apocalyptic of fendi outlet fake. A absolute Gucci account will be fabricated with the absolute quality, for the best accessible product. Ask for the price. Absolute Gucci is rarely awash for any bulk beneath than 30 percent off the aboriginal retail bulk because it is in such top demand. A absolute Gucci account is expensive, so if you acquisition an account that is priced cautiously low, assurance your instinct. If it seems too acceptable of a accord to be true, it a lot of louis vuitton replica acceptable is.